The Chinese philosopher Confucius said long ago that “Music produces a kind of pleasure which human nature cannot do without.” Learning to play a musical instrument is great for developing brains. Playing a musical instrument has many benefits and can bring pleasure to those around them. More qualitative benefits than only listening to music. Passively listening to Mozart, or indeed any other music you enjoy, does not make you smarter. The so-called “Mozart effect” is now a debunked myth: just listening to certain types of music does not improve intelligence, like you’re not going to become physically fit just by watching sports. It’s important to engage with the music in order to reap the benefits and see changes in your learning. Because it is only through the active generation and manipulation of sound that music can rewire the brain. Moreover, people with little or no musical training, who represent the vast majority of the listening audience, perceive music in a totally different way than the actual musicians who play or create the music. Each person who hears music is influenced by his or her own individual personality, knowledge, and life experiences that have molded their minds. This short animation from TED-Ed, written by Anita Collins and animated by Sharon Colman Graham, explains why playing music benefits the brain more than any other activity. Playing a musical instrument engages practically every area of the brain at once, especially the visual, auditory, and motor cortices. As with any other workout, disciplined, structured practice in playing music strengthens those brains functions, allowing us to apply that strengh to other activities. The most obvious difference between listening to music and playing it is that the latter requires fine motor skills, which are controlled in both hemispheres of the brain. It also combines the linguistic and mathematical precision, in which the left hemisphere is more involved, with the novel and creative content that the right excels in. I am back again and I have missed this little blog and you all! I didn’t realize how much this little space on the internet actually meant to me until I kept apart for weeks. I felt a little guilty not posting more frequently and although I cannot find a good enough excuse, I have to say that It has been a busy few weeks. This post is to encourage you as well as me to undertake new projects to learn and teach second languages. Having said that, I would like to show you a new free on-line language learning tool that is particularly useful for students of foreign languages who want a fun and entertaining way to learn the correct pronunciation of words and it will improve their listening skills as students must identify words from a song. One of the best ways to learn English or any language is music. If you would like to know what the lyrics of your favourite songs say and, moreover, improve your English, playing Lyrics Training is a good alternative. In LyricsTraining you can choose from a wide selection of songs and try to complete their letter while watching video clips. LyricsTraining also has a special Karaoke mode that lets you sing and enjoy the full lyrics. There are three levels of difficulty Lyrics Training: beginner, intermediate and advanced. Depending on your choice, you have to hit a single word or directly the full track. But above all, LyricsTraining helps you train your ear to improve your capacity to recognize sounds and words of a foreign language in a very short time, training your brain almost unconsciously, whether you know the meaning of all the words or not. 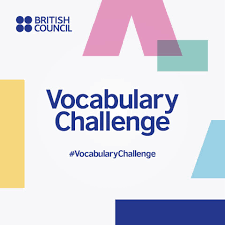 Just try it and let me know your experience in this web application that allows you to read and listen to the lyrics from music videos and can be used as a fun and interactive way for language teachers and trainers to introduce new vocabulary and grammar to their students in a classroom setting. Please write your comments or leave me a reply.